YouthZone approaches substance use and/or abuse from a trauma-focused mindset. Starting with a thorough assessment, our counselors hope to better understand the reason for your teen's struggle with alcohol and or drugs. Intervention Initiatives: Substance use education, one-on-one counseling, and group therapy. With YouthZone's substance use intervention program, our goal is to identify the underlying trauma by treating the resulting self medication. 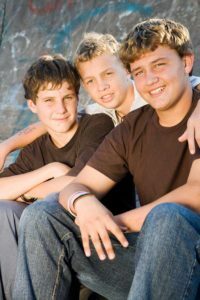 YouthZone's group therapy sessions allow clients to benefit from the shared experience of peers. Building a community of support around their continued growth. YouthZone’s programming begins with a thorough assessment, leading to a tailored program that is designed for the specific needs of the youth involved. An educational class focusing on issues involving signs of substance abuse, triggers, and healthy coping techniques, including resources and where to go for help. One-on-one, evidence based approach for youth experiencing moderate problmes associated with substance use. This support group focuses on sustaining healthy behaviors for clients with substance issues, trauma, or both. By building a community of support, clients are better able to understand they are not alone in how they're feeling.